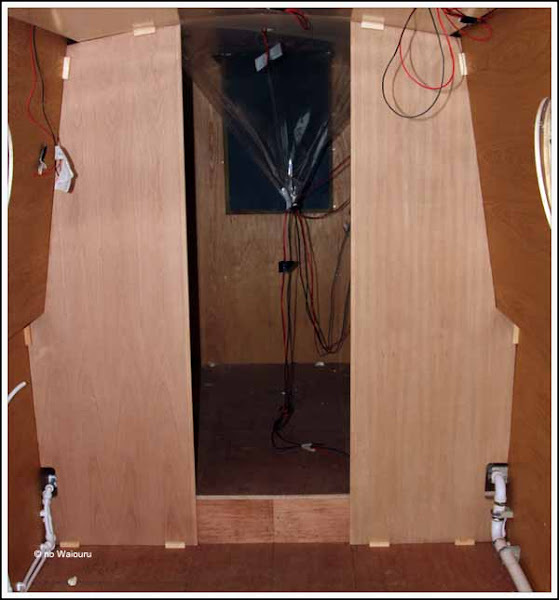 The first-fit of the partitions was completed by midday when the starboard half of the bathroom partitions were scribed, cut to shape and fitted. The second-fit of the partitions involved removing each section and taking it back to the workshop where the the passageway edge of the partition is cut back making sure it’s vertical. Then the edge is capped with a 1” oak trim. Final scribing and cutting is completed and any holes are then filled and the partition gets sanded. 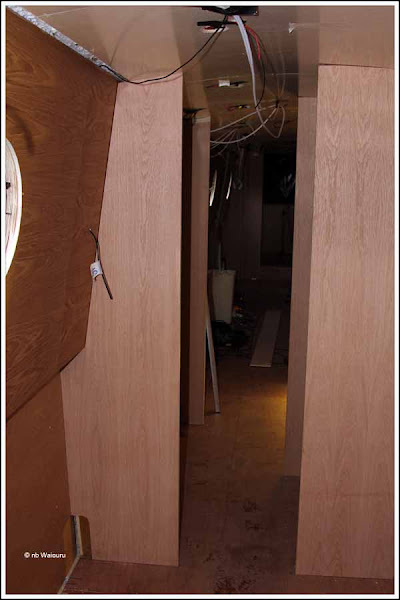 By cutting back the edges of the opposing partitions the correct passageway width is achieved. Finally, the partition is taken back to Waiouru where it is again check and plumbed before being secured in place with small softwood blocks. These small blocks will secure the partitions throughout the build and will only be removed when the final trim is fitted to the boat. This will be one of the last jobs. The rear partition is now complete. After fitting the partition we immediately noticed the passageway opening was much wider. 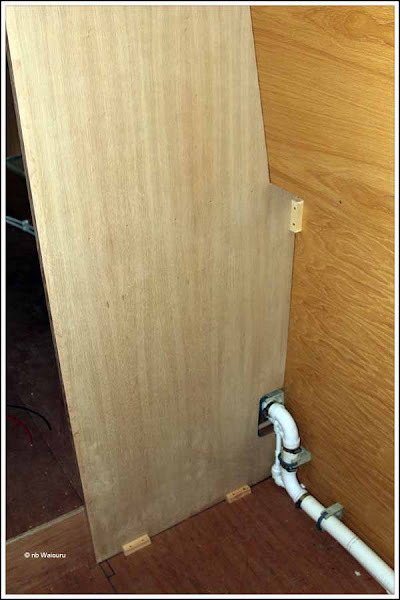 A start has now been made completing the second-fit on the partition between the saloon and the toilet. 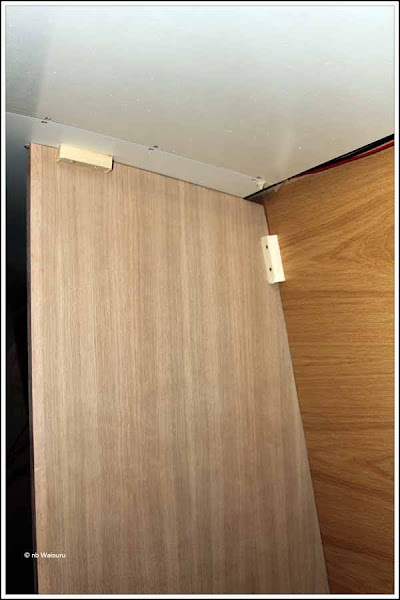 Rather than complete the second-fit and then remove the partition to laminate the toilet side we have decided to formica the partitions during the second-fit. 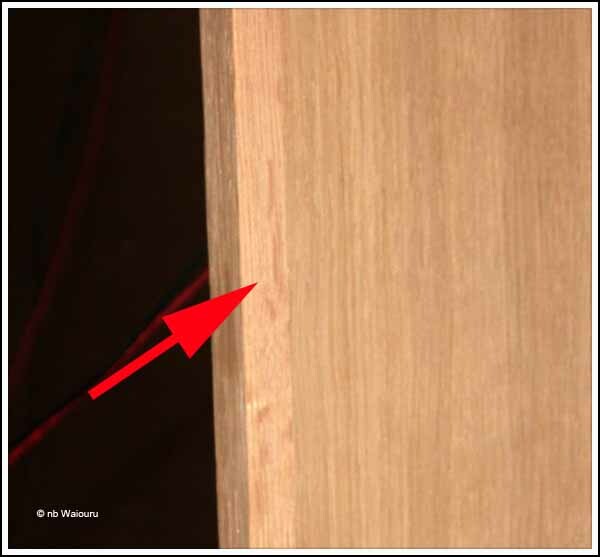 This will reduce the number of times we have to remove and replace the heavy sections of plywood. Later in the afternoon the hospital silencer was delivered. I was very surprised by its size. I’m used to seeing automobile mufflers and wasn’t expecting the silencer to be 5 times the size! No wonder Andy’s brain is working overtime planning how to fit everything into the engine compartment!